Who&apos;s that?! 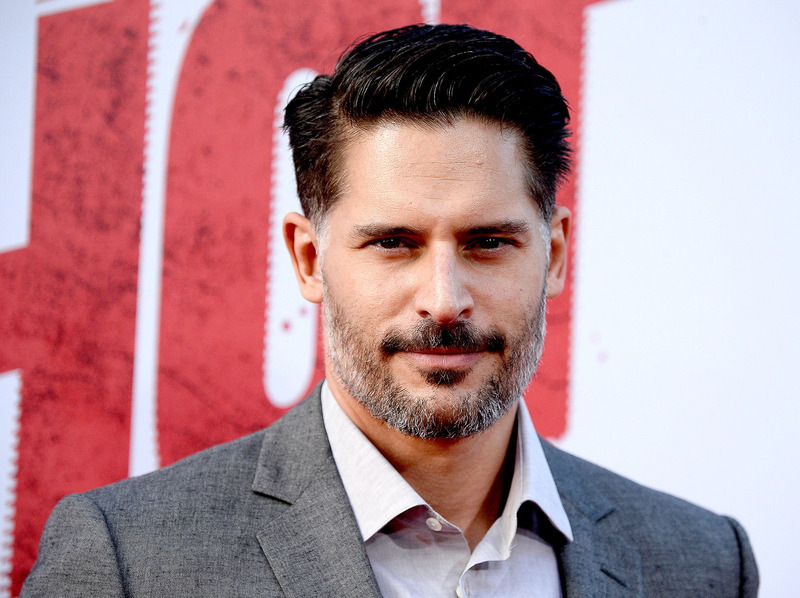 We can&apos;t believe that even Sofia Vergara would be able to pick out her husband, Joe Manganiello, in this almost unrecognizable #TBT picture he shared on Wednesday, June 1. Sporting a bleached-blonde buzz cut, the handsome Magic Mike star is pictured without his now-trademark dark tresses and manly beard. Instead, the two-decades-younger actor, now 39, looks handsome but totally different with his bright yellow hair and clean-shaven chin. "For the record, Slim Shady was &apos;97," the actor wrote, jumping on Twitter as excitement about his very different appearance mounted and similarities were being noted between him and Eminem. "I had Em by a year with the blonde. @dennisrodman on the other hand…"
This new, amazing photo is one of a few shared recently by Manganiello and his Modern Family star wife, 43, following his worrying hospitalization back in April due to appendicitis and subsequent complications. Manganiello and Vergara married last November in a gorgeous, star-studded Palm Beach, Florida, ceremony. They pair got engaged in December 2014 after dating for six months.